The Seychelles - magnificent nature, clean environment, year-round sunshine, warm sea and beaches, where there are not many tourists. This region is interesting from the tourist point of view, and from a commercial. 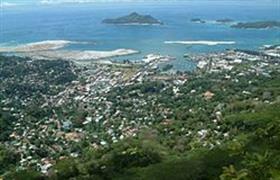 You can buy properties in the Seychelles - both residential and commercial areas. And the purpose can also be different - you can live there, you can rent your house, you can keep your own business, and it is possible in a few years profitably to resell your property. Lodgings in the Seychelles - not only affordable resort vacation, but also exotic. Almost all real estate on the islands prestigious and individual - you will not find standard and identical homes. Real estate from the owner on the islands is more limited, rather than new developments. New apartments in residential buildings - also a rarity. They are a standard low houses part of residential complexes with a common area, equipped with swimming pools, parking lots, playgrounds and other amenities, depending on the cost. Housing from the builder in Seychelles – represents mostly houses and detached villas. Investors often buy plots of land, on which they build a residential, or tourist facilities such as hotels and holiday centers. Pricing policy on the islands depends not only on the quality of properties, but primarily on their location. In general, of course they cannot be called inexpensive. In the capital city of Victoria, or on the island - very few affordable options. But against the background of the prestigious European countries, of course, these prices will seem to you more profitable. Housing in the Seychelles is available for foreigners, but only with some restrictions. You will need to obtain permission from the local authorities, although it is only formal. In addition, buying real estate in the Seychelles is more favorable to the local entity, rather than physical persons. In the rest – you will not meet any inconveniences in the process of registration of the transaction. Many foreign investors believe that the local market is very promising for investment, so you should examine it carefully.